There’s not much time left to apply for the Data Science Accelerator programme if you’re interested in developing your data science skills. The award-winning programme gives analysts from across the public sector the opportunity to deliver a project of real value to government users. Running three times a year, it has trained more than 100 participants and delivered a variety of projects which have made a substantial difference to their organisations. To give you a flavour of what past participants have achieved, we asked some participants from our ninth cohort to share their projects and the impact they’re having in their departments. Alex Drake from Transport for London (TfL) wanted to use computer vision to identify vehicles from a CCTV feed. By tracking and counting vehicles in this way, he hoped to discover patterns that could help TfL make informed decisions on improving traffic management and road safety. 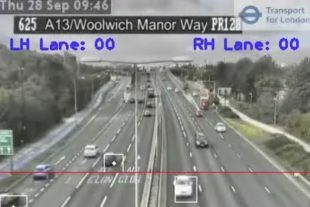 A proof of concept was produced using Python, OpenCV and the TfL JamCam API to track and count vehicles as they moved through the video feed. By using blob detection and vector tracking, Alex was able to detect vehicles with an estimated accuracy of 85%.The next step for Alex’s project will be to investigate HAAR Cascades (a machine learning technique) to see whether this could increase detection accuracy by reducing blob merging issues. The insights from Alex’s project are helping improve TfL’s understanding of London traffic to allow for better targeted traffic management. 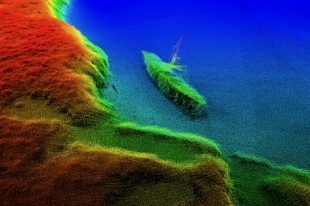 Chris Cullen from the UK Hydrographic Office (UKHO) developed a tool that could help it improve the acquisition of satellite imagery and ensure more effective planning of light detection and ranging seabed surveys. Using Python and more than 10 years worth of survey data, Chris developed a method to estimate when the water was clearest. Through this project, Chris managed to more accurately measure trends in water clarity, which means that the UKHO has been able to make better use of archived satellite images, as well as forecast future values for new data acquisition. The UKHO is now building upon Chris’s code for their operational decision making by examining how cloud cover data could improve the processing of satellite imagery. James Currer from Innovate UK wanted to develop a method to identify and categorise the public descriptions of 16,000 funded projects which is normally a manual process that takes time and can be prone to error. He was keen to explore topic modelling to see what insights machine learning could offer on a dataset of more than 1.7 million words. James produced a set of tools which refine the input, run different model algorithms and then visualise the results. Initial results showed some accuracy so these will be tested with colleagues at Innovate UK. The plan is to tune the input and model parameters to see how to get the most out of them. Do you have an idea or problem that data science could solve? Apply before 12 June to join our next cohort.